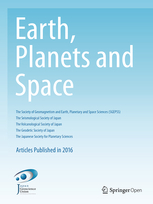 Yukutake et al. (2017) Analyzing the continuous volcanic tremors detected during the 2015 phreatic eruption of the Hakone volcano. © 2018 神奈川県温泉地学研究所, All Rights Reserved.